If 19th-century England had anything resembling a rock star, it was Alfred, Lord Tennyson. He was one of the most popular and exciting poets of his era, with a riveting stage presence. He remains one of the English language’s most popular poets to this day. Tennyson was descended from King Edward III, one of England’s most successful medieval monarchs. He began writing and publishing poetry in his teens. In 1850, when he was 41, he succeeded Wordsworth as Poet Laureate of England, and held this position for more than 50 years, until his own death — a term longer by far than any other laureate before or after. Tennyson was a huge and powerful figure. The Scottish historian and philosopher Thomas Carlyle described Tennyson as “one of the finest-looking men in the world,” with “bright, laughing hazel eyes” and a “most massive yet most delicate” face. Later in his life, a photographer called him “the most beautiful old man on earth.” His resonant, booming voice riveted listeners when he read his poetry. A highly popular poet in his own lifetime, Tennyson earned considerable money from his works. He was often referred to as “the Poet of the People,” revered for reflecting the collective mind. Queen Victoria herself was a fan. In 1884 she made him Baron Tennyson, and Alfred Tennyson became Alfred, Lord Tennyson.
. . . a kind of waking trance — this for lack of a better word — I have frequently had, quite up from boyhood, when I have been all alone. . . . All at once, as it were out of the intensity of the consciousness of individuality, the individuality itself seemed to dissolve and fade away into boundless being, and this not a confused state but the clearest, the surest of the surest . . . utterly beyond words — where death was an almost laughable impossibility, the loss of personality (if so it were) seeming no extinction, but the only true life. . . . I am ashamed of my feeble description. Have I not said the state is utterly beyond words? . . . There is no delusion in the matter! It is no nebulous ecstasy, but a state of transcendent wonder, associated with absolute clearness of mind. Tennyson offers a clear description of transcendence. When the mind dives within during practice of the Transcendental Meditation technique, mental activity settles down, like waves settling on the ocean. We experience finer and finer levels of the thinking process, until we transcend, or go beyond, thinking altogether. What do we experience then? Consciousness itself — not consciousness of perceptions, thoughts, or feelings but pure consciousness, silent and unbounded. This is our innermost Self, the innermost reality of the universe. It is a field of pure Being, to use one of Maharishi’s early terms. So when Tennyson says, “Individuality itself seemed to dissolve and fade away into boundless being,” he is accurately describing the experience of transcending. He no longer experiences himself as a limited ego — he now experiences his true Self, infinite and unbounded. Here, he tells us, “death was an almost laughable impossibility.” Quite right. Pure consciousness, Maharishi explains, is eternal, immortal. It lies beyond space, time, and causation. Here Tennyson describes experiences of his bounded self merging into “the Nameless, as a cloud / Melts into Heaven.” As in the first passage, he describes this as an experience of “utter clearness.” Unbounded awareness stands in the same relation to ordinary waking consciousness, Tennyson tells us, as a sun to a spark. Yes, it is true that there are moments when the flesh is nothing to me, when I feel and know the flesh to be the vision, God and the Spiritual the only real and true. Depend upon it, the Spiritual is the real: it belongs to one more than the hand and the foot. You may tell me that my hand and my foot are only imaginary symbols of my existence, I could believe you; but you never, never can convince me that the I is not an eternal Reality, and that the Spiritual is not the true and real part of me. No doubt Tennyson’s ability to have this profound experience enhanced his creative abilities and helped make him the great poet he was (he continued writing into his 80s). 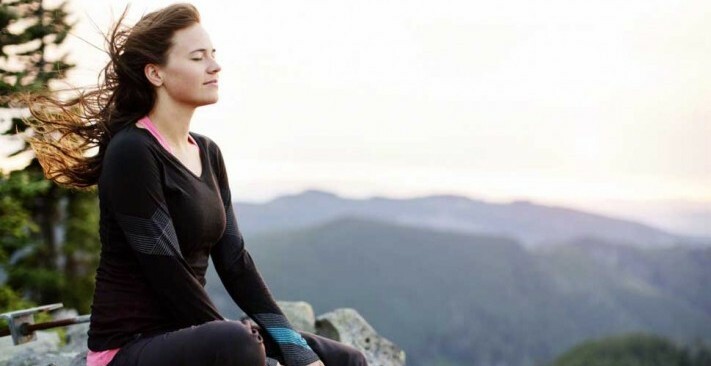 Scientific research shows that regular experience of transcending through the Transcendental Meditation technique leads to rapid and measurable growth of creativity and intelligence, among many other benefits. Throughout history people such as Tennyson glimpsed the fourth state of consciousness, Transcendental Consciousness, and described it with great beauty and precision. We are fortunate to have a simple, natural, effortless procedure, the Transcendental Meditation technique, to have this experience on a regular basis. Tennyson, Hallam, Alfred Lord Tennyson: A Memoir by His Son, vol. 2 (London: Macmillan, 1899), 815-816. “The Ancient Sage,” in Poems of Tennyson, ed. Jerome Hamilton Buckley (Cambridge: The Riverside Press, 1958), 504. Tennyson, Alfred Lord, The Works of Tennyson, ed. 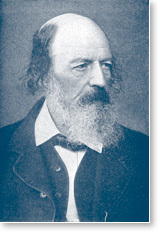 Baron Hallam Tennyson (London: Macmillan, 1913), 940.